Chromebookparts.com accepts returns and warranty claims on all products, under certain conditions. Please see below for an explanation of our return and warranty policies. Review each of them carefully, as well as the information regarding shipping the products back to us for a full refund. Email us and include your name, account, and Chromebookparts.com order number. Explain your issue in as much detail as possible. Pictures are required to be shown when product damage is noticeable. Smartphone pictures will suffice. 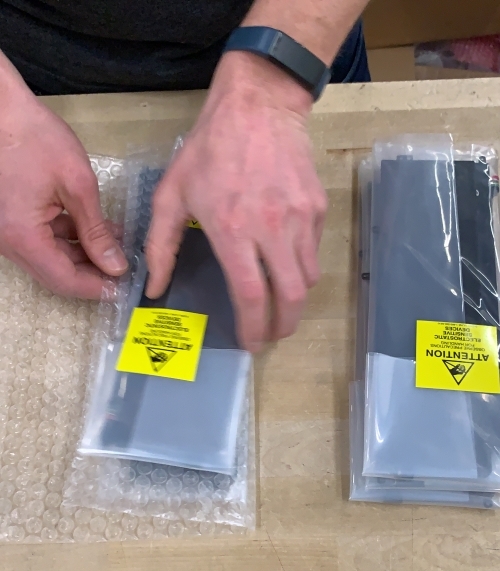 Keep all original packaging and shipping boxes as products are required to be sent back in their original condition inside their original packaging. If products are not returned within 30 days, the product must be defective in order to be returned. See the warranty policy for further details. Once we receive your return request, we will provide an RMA number. Once we receive the return, the products will go through an inspection process. The products will be inspected to verify that they are the exact parts that were originally sent to fulfill the order. Once this has been verified, the return will be approved for a refund. Please allow a few days for the refund to show up on your account after it has been approved. If your items do not pass the inspection, you will be notified by email that your return has been denied. If your return has been denied, you may request the products be returned to you. You will need to provide a FedEx shipping label to us in this case. Keep the original packaging and box as it will be easier and safer to send products back to us this way. Once we receive the return, the products will go through an inspection process. The products will be inspected to verify that they are the exact parts that were originally sent to fulfill the order. Once this has been verified, the warranty claim will be approved for a refund. If your items do not pass the inspection, you will be notified by email that your warranty claim has been denied. If your warranty claim has been denied, you may request the products be returned to you. You will need to provide a FedEx shipping label to us in this case. Motherboards must be returned in the anti-static bag that it was shipped in. It must also be wrapped in bubble wrap. Save the packaging from the original shipment for this purpose. Some motherboards taped to a piece of cardboard when packaged. This same method should be used when returned to prevent it from breaking. Motherboards should not be shipped in anything other than a box. Other forms of packaging will not prevent the motherboard from being damaged in shipping. New LCD panels are shipped with a screen protector. This must be included with the return. A loss of a screen protector would mean that the LCD panel is no longer considered "new” and cannot be refunded as such. 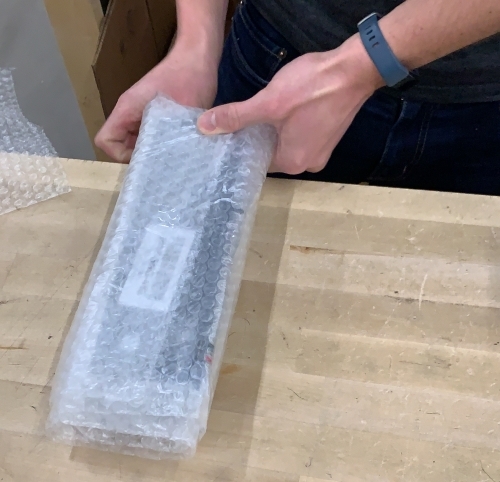 All LCD panels should be wrapped tightly in bubble wrap, with a layer separating each one. This prevents LCDs from bending, breaking, scratching each other, or bouncing around inside package. Batteries should be tightly bubble-wrapped to prevent bending, breaking, scratching each other. Make sure there is bubble wrap in between each battery so they will not conduct from one another. Should be shipped with a layer of bubble wrap separating each one to prevent scratching or plastic tabs on the underside breaking off. They should be wrapped tightly to prevent bending, breaking, or bouncing around inside package. Every part should be returned in the same condition you received it. 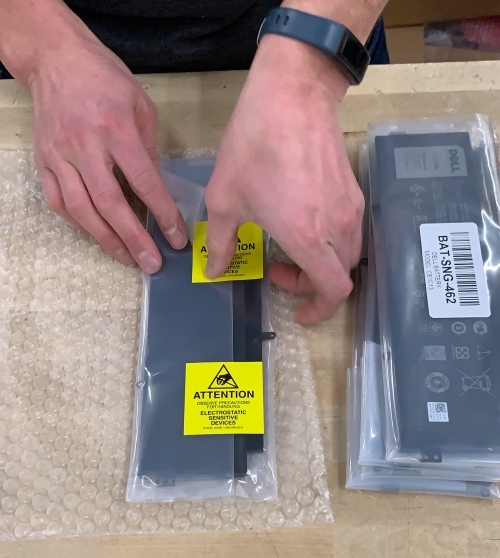 For example, an A-grade LCD being returned because the touchscreen function isn't working should retain the physical appearance of a Grade A product. There should be no scratches, bent tabs, etc.